Profit Factor was founded in 2003 by Vieta Rosenberg, CPA. Vieta has been a San Francisco Bay Area resident since 1989. She has spent a total of 20+ years in public accounting, and has been a CPA since 1998. 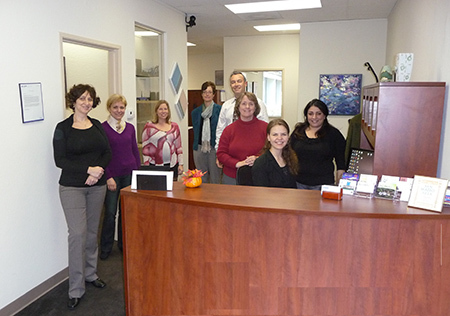 Profit Factor has two CPAs on staff, and a team of several accountants/bookkeepers to service our clients. Profit Factor is located in Foster City, CA. Before starting Profit Factor in 2003, Vieta worked at Lautze & Lautze, a San Francisco CPA and financial services firm, where she spent 7 years executing and managing general accounting, tax, and auditing projects. As a Senior Manager, Vieta worked closely with clients to ensure timely and efficient completion of the engagements, maximum tax savings, compliance with regulatory and reporting requirements, and effective internal controls. Vieta began her career in the accounting field in 1990 as a tax preparer at H&R Block and later as a staff accountant at Ross Associates, CPAs. Vieta received a B.S. degree in Business Administration with an emphasis in Accounting in 1995. She passed her California CPA exam in 1998. Prior to beginning her career in Accounting, Vieta earned an equivalent of a B.S. degree in Electro-Mechanical Robotics Engineering in 1989.